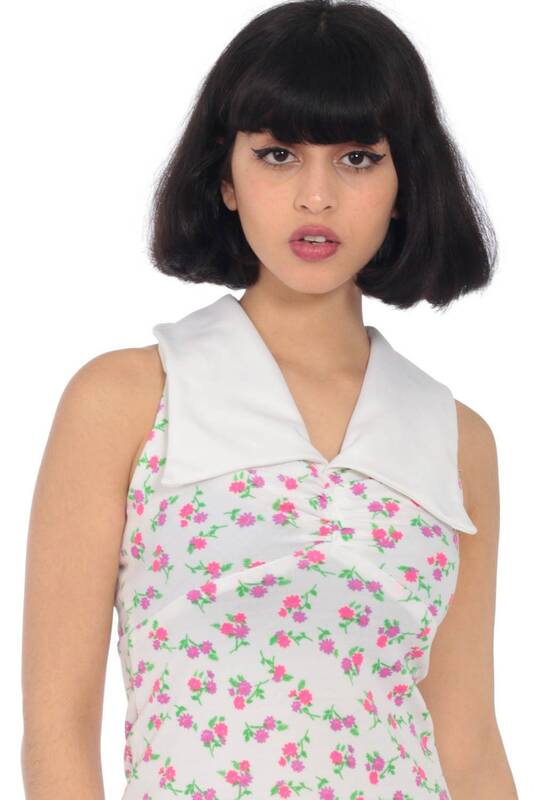 Vintage 70s dress in a white and pink floral print with an oversized collar. 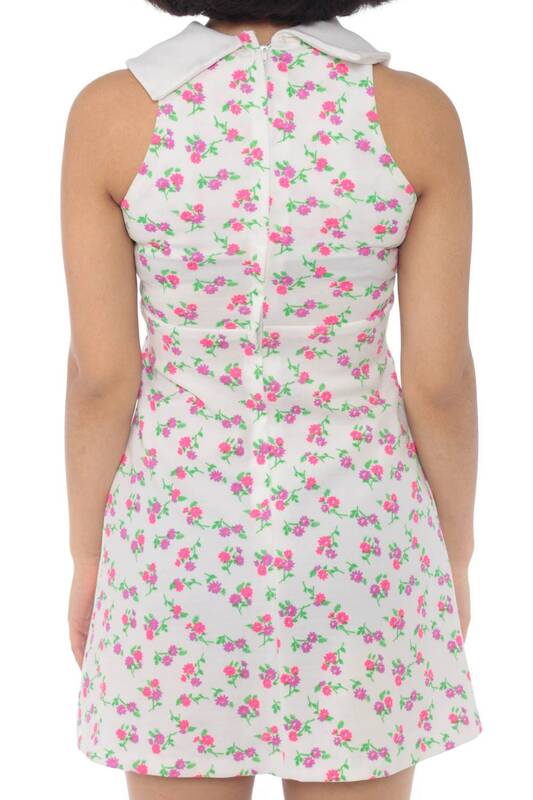 Sleeveless with an empire waist and a rear zip. Mini length. Best fits women’s: Labelled size 5. Fits petite Extra small. Short in the bust.